Strategy Analytics is a global research firm out of Boston that studies various market trends. According the Strategy Analytics latest research, global mobile phones (which includes our Windows Phones) grew 1% annually to reach 362 million units shipped in the second quarter of 2012. Leading the pack was Samsung with 26% of the marketshare or 93 million mobile phones shipped world wide. "Nokia’s Windows Lumia family of smartphones has made a relatively encouraging start, but shipments are not yet high enough to offset rapidly fading volumes for its Symbian platform." Keep in mind that this research looks at all mobile phones from the feature phones to the smartphones. So how do smartphones shake out in the research? According to a separate Strategy Analytics report on smartphones, global smartphone sales grew 32% annually to reach 146.1 million units in the second quarter of 2012. In just looking at smartphones, Samsung leads the pack here as well. Samsung owns 35% of the marketshare (a 16% increase from last year), shipping 50.5 million smartphones globally. Apple experienced a 6% boost and slides in second place with 18% of the market and 26 million units shipped. Nokia slipped 8% and comes in third with 7% of the marketshare and 10 million units shipped. 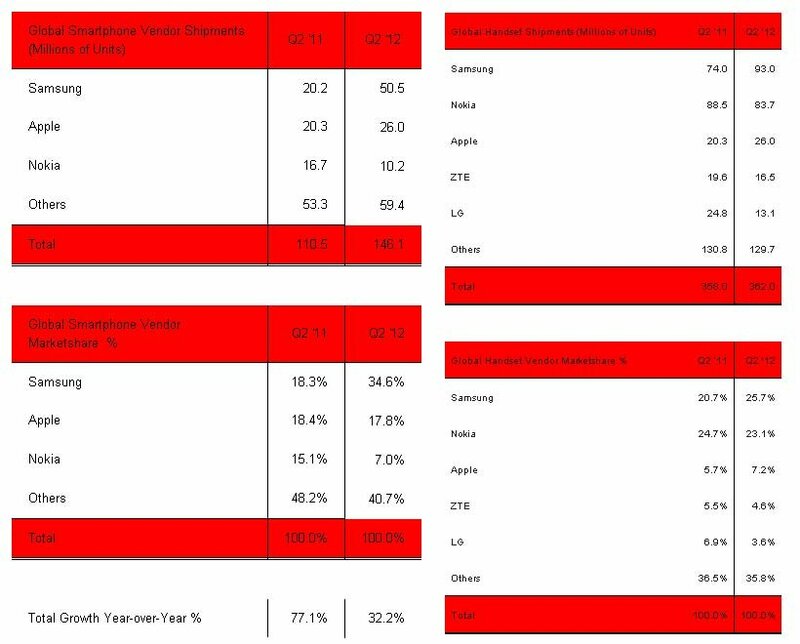 This is Nokia's lowest marketshare in the smartphone category in ten years and while the report notes that Nokia is seeing reasonable growth with its Windows Phones, this growth hasn't offset the loss created by the companies Symbian platform. 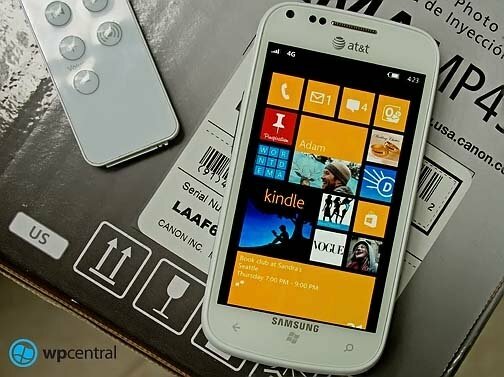 Shipments of Nokia Lumia Windows Phones is outpacing the shipments of Apple's first generation iPhones and Samsung's first generation Android phones. Hopefully, Nokia's second generation Windows Phones will continue this pace and begin to noticeably offset any declines created by the Symbian platform. Surprisingly, HTC's performance is not strong enough to be listed individually and is likely lumped in the "Others" category in the smartphone report. Keep in mind these reports reflect shipments by manufacturers, not sales. There was not a break down of operating systems of models available in these reports. So... is it a surprise that Samsung is leading the pack with regards to global shipments? In both mobile phones and smartphones?